A small project that makes a big impact, installing a new shower head is a quick and easy job that almost anyone can do—no fancy plumbing tools required. Installing a new shower head is not quite as easy as changing a light bulb, but almost. As you begin, decide whether or not to keep the existing shower arm—that is, the angled pipe to which the shower head attaches. 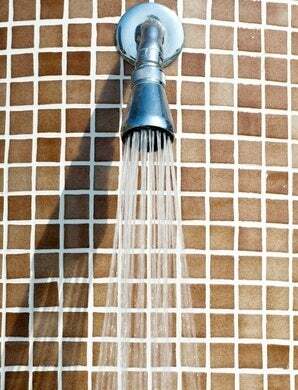 If the shower arm has become corroded over time, or if it doesn’t match the finish of your new shower head, scrap it. A pipe wrench does the job when you’re bare hands fail. Note that while shower heads don’t usually come with shower arms, you should be easily find an appropriate one for sale separately. Skip this step if you’ve opted to keep your existing shower arm. To install a new shower arm, start by wrapping its threads, two or three times over, with thread seal tape. Stretch the tape slightly, as you apply it. Next, carefully turn the pipe into the wall fitting, and then seal the wall opening with plumber’s putty. Slide the shower flange over the arm and press it into the putty. Wipe away excess. Homeowners who have purchased a handheld shower head probably do not need to add thread seal tape at the shower arm base (to be certain, however, check the manufacturer’s directions). Here, installation consists only of threading the handheld onto the shower arm, before threading the handheld shower head’s flexible hose onto the bracket. • Arguably, handheld shower heads are more practical than fixed ones. • A low-flow shower head saves both water and the energy your water heater must use to deliver a comfortable bathing experience. 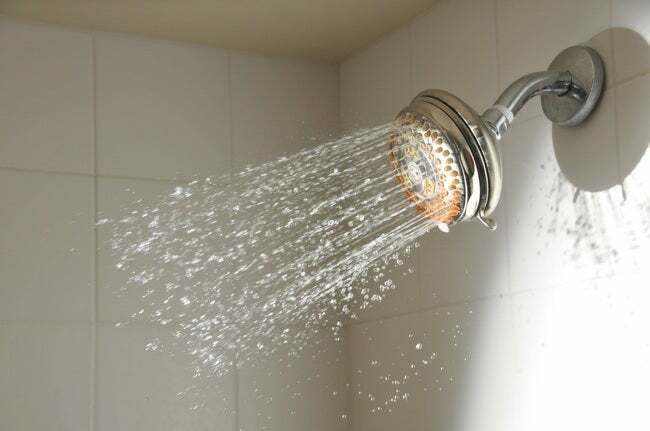 • Metal shower heads generally perform better than plastic ones. Look for chrome finishes and brass construction. Ease of adjustment and problem-free longevity justify the added cost of such fixtures. • Metal hoses on handheld shower heads are more flexible, and thus easier to manipulate, than plastic hoses. • Shop online for greater choice, but visit stores for a chance to see and feel the products you’re considering. Expect to pay at least $80 for a quality model.